A revision of the EU accounting rules on the treatment of public-private energy performance contracts would allow massive injections of investment into the EU economy. Yet, there is opposition from some national statistical offices — especially Germany –which have to take a position next week, writes Monica Frassoni. 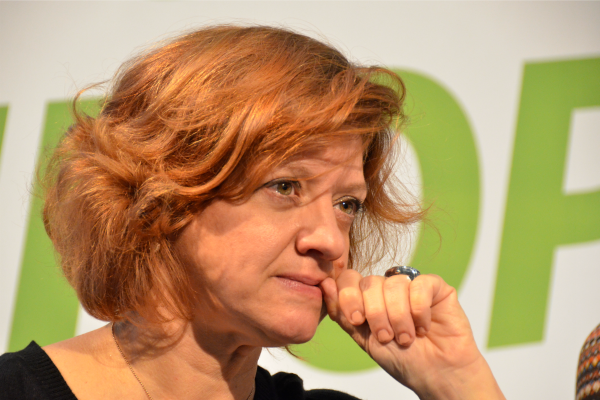 Monica Frassoni is a former MEP and current President of the European Alliance to Save Energy. Next week member states will make up their minds on whether or not EU accounting rules on the treatment of public-private energy performance contracts (EPCs) should be changed. It is a high-stakes decision. A revision would allow massive injections of private sector investment into the EU economy. Yet, there is opposition from some national statistical offices, who have to take a position by 25 July. At the moment there is an inconsistency in how rules are applied to public/private energy efficiency investments, which are considered ‘on balance sheet’, compared to public /private investment in highways and roads, which are ‘off balance sheet’. Public sector bodies – cities, local authorities and mayors – currently have to class third party financing for energy efficiency improvements as public debt. This means they often have to turn down good projects or ‘bankrupt’ their books. The reform would unlock the doors on large amounts of private investment – for example, from banks or pension funds investing via energy service companies – with the investment repaid from the savings on energy bills. This means they often have to turn down good projects or ‘bankrupt’ their books. The reform would unlock the doors on large amounts of private investment – for example, from banks or pension funds investing via energy service companies – with the investment repaid from the savings on energy bills. This private money would flow into the EU economy, where it is vitally needed to fund warmer buildings, cheaper lighting, cleaner air and increased energy security for EU citizens – all at no risk to the public authorities. At the same time, it would be helping member states implement the Paris Agreement and meet the 2030 climate and energy goals at least cost. Many EU member states are still experiencing low-growth, low-investment environments. The mantra everywhere is that attracting private sector investment into infrastructure and EU businesses will be key to driving a sustained economic recovery in Europe. A very wide range of stakeholders, including EU Commissioners, municipalities, businesses, investors and civil society representatives agree that the reform of the accounting treatment of EPCs is one of the key barriers to close this investment gap. Numerous examples of aborted energy efficiency investment in public buildings from Spain to Slovakia have been brought forward as evidence that a change is both proportionate and justified. The arguments and evidence have been extensively considered and consulted upon within the statistical community. Eurostat has moved forward to suggest progressive solutions based around recognising energy services provided via EPCs as just that – energy services, with finance solutions and operational risk provided by private sector providers. A group of progressive countries including France, Italy, Spain, Portugal and Ireland recognise the strategic importance of resolving the issue and are committed to moving forward from proposal to reality. Yet not everybody seems to share the same positive idea. We hear European utilities – whose business models will be forced to a major change to accommodate the rise of a new services-based energy industry if the revision goes through – are actively lobbying against the change. The German statistical office seems to be listening to them. Others, like Sweden or Finland, seem also to be doubtful. This is not some abstract academic issue. The USA already has an accounting system similar to the one proposed by Eurostat. The US energy services market is worth around $4-6 billion per year, compared to just €150m in the EU at the moment. The recently published High-Level Expert Group on Sustainable Finance Interim Report singled out the EPC accounting rule issue out as an early priority to resolve, recognising it as a key ‘lever’ the EU can pull to quickly and effectively channel private sector finance to a simply vast investment opportunity that will create new employment opportunities for EU citizens working for EU firms delivering EU infrastructure. In the aftermath of the financial and sovereign debt crises, and in the face of the very grave threat climate changes pose to our European way of life, all parts of the financial system need to change to deliver the sustainable economy we need. This includes the institutions that govern it. National statistical offices must play an active role in helping create the new ‘rules of the game’ needed to underpin the EU’s transformation to a sustainable economy. We hope that in the days ahead they will vote for change.